If the punk movement broke a certain amount of things, on the opposite it did not change anything to the traditional music structure with its verse and chorus. Neither did it change anything to the conventional form of the rock concert with its boundary between the stage and the hall. So images appear on the screen… Now we have understood. Cocoon’s performance will be an invitation to play with the expected figures of the performance. 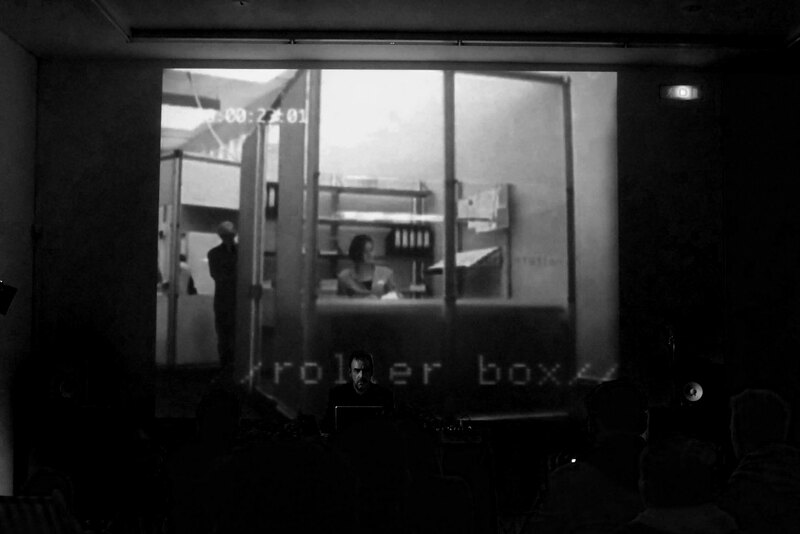 It is by the obstinate repetition of these sentences on the video screen that Cocoon somehow orders the audience to play the game, playing on the possibility that « nothing happens », that the performance stops. However the music says the opposite with its dramatic construction folding and unfolding itself. In his live performance and in the various ways he plays with his audience, Cocoon questions the ways of being together in the time of the performance. These games of mutual voluntary control that take place between the performer and the spectators remind us of those desired games that take place between « consenting adults » within the protected boundaries of the private sphere as well as those undesired « games » that some people force some other people to play despite their will in many areas of the public sphere of our society. • The Sun Ain’t Gonna Shine Anymore. Electron Festival. • Spring ‘S’ Night. Espace de l’Art Concret. Optical Sound. • Transports Non Communs. In Fact. Couvent des Récollets. • festival Souterrain porte III. Le Totem. • festival Emergences/Villette Numérique. Dédale. La Villette. • festival Nowa Fabryka. L’Entreprise.